You are here: Home / Uncategorized / Back to School Online Payments for 2018-2019 School Year! Please note that PayPal charges processing fees, which we have calculated as $5 per child. We have added it to the school supply cost. If you prefer to pay by check, you may still do so on the first day of school. Please bring your checks written separately for each student and each option listed above to your room parent on the first morning of school (for example: John Smith, School Supplies; John Smith, Pizza Fun Lunch). Checks should be made out to the Hubbard Woods PTO and you can elect to deduct the $5 PayPal fee (per child) from the school supply cost. As a convenience to parents, the Hubbard Woods PTO arranges for every child to receive a boxed school supply kit on the first day of school. Kits have already been ordered for all enrolled students. The supplies are specific to the child’s teacher/classroom requirements. 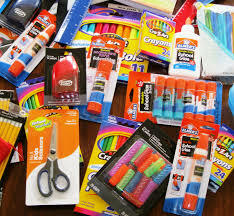 However, if you wish to shop and purchase your own supplies, contact Abby Burtelow (love_abby1@yahoo.com or cell 773-610-2845) for your teacher’s detailed supply list. She will then return the kit ordered for your child. *Please note this is different from the activity fee you paid District 36 upon registration. Yearbooks can be purchased for $30 and are delivered to your child on yearbook signing day (usually the last week of school). Questions, contact Leigh Sears (leighsears@gmail.com). The PTO collects $40 per child to cover holiday and/or end of the year gifts for every teacher, staff, and administrator at Hubbard Woods throughout the year. 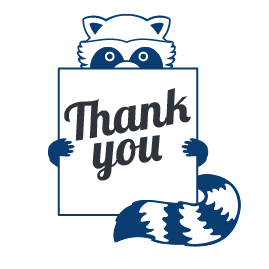 There will be no other collection of funds for classroom/teacher gifts during the year, other than during Teacher Appreciation Week when donations of gift basket items are collected. The PTO offers a pizza lunch provided by Domino’s Pizza on select Fridays throughout the school year. Students are served 2 slices of cheese pizza and a fruit side such as carrots, peaches or tangerines. 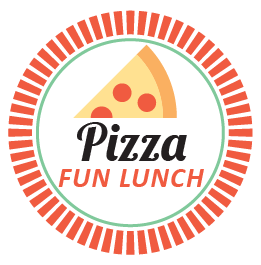 Pizza Fun Lunch is an official fundraiser as a % of the sales goes to the Hubbard Woods PTO. For questions about gluten-free options or about the program, please visit the Pizza Fun Page (insert link) or contact Margaret Kotz (margaretkotz@hotmail.com). As a convenience to parents, the PTO offers a school directory each year. It contains contact information for Hubbard Woods families and staff, class lists and the school calendar. Consistent with previous years, the directory will be provided solely in electronic format, through the Directory Spot app. This works on both iPhones and Android phones. Directory content can easily be printed from a desktop computer. You will receive email notification as soon as the mobile app is available, along with directions for printing class lists and family information from your desktop. The cost is $5 for access to Directory Spot, per family. If you have multiple children, you only need to pay this fee once. There will only be ONE elementary school directory on Directory Spot containing information for all three elementary schools. District policies and school info are available on the district website: https://www.winnetka36.org/hubbardwoods. The PTO provides students the option of purchasing lunch through Kiddos, a local school lunch management program. The cost of each lunch is $5.25. Kiddos lunches are offered every day of the week except for half days, Pizza Fun Lunch Fridays, and World Travelers’ Lunch Days. Visit the Kiddos website for more information about ordering, http://www.kiddoscatering.com. Click “Create A New Account” – A new account needs to be created at the beginning of each school year, even if you had one last year. Lunch orders for the week need to be checked out by Monday, August 20th at noon.